by Velo Media Pty. Ltd. Always know the Address and Zip-code for your current location. 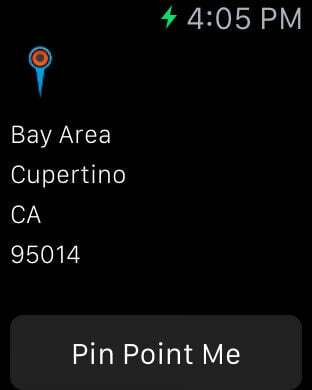 Your current locations Address is conveniently displayed on your Apple Watch. Perfect when you quickly need to know where you are, when calling a Taxi, asking for a pickup or giving directions to a friend. - Quickly Copy & Paste Address to other Apps. - View your location using Apple Maps. - Continuous Updates as you Move for Convenience. - On Demand updated to conserve battery life.